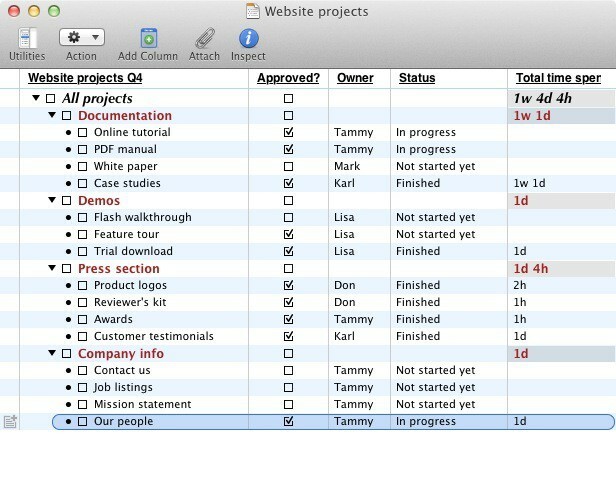 TinkerTool is the Swiss Army knife you need for your Mac. With its blades you can activate – or deactivate – all sorts of features that are normally hidden from view. SpamSieve is a top-quality spam-killer for your email account, protecting you from phishing, from lures tempting you to download God-knows-what from dodgy file sharing servers, and from non-existent Nigerian princes offering untold wealth in exchange for, well, a few cash payments up front. To cover expenses, you understand. Once you’ve downloaded Better Touch Tool and started to explore what it has to offer, you’ll wonder how you ever lived without it. PopClip brings cute iOS-style select-and-click text tools to your Mac. It’s great. Acorn describes itself as “an image editor for humans”, and that sums it up in a nutshell. What you get inside Acorn are pretty much all the image editing features you’re ever going to need, for a fraction of the price of some of the competing apps. Your Mac comes with QuickTime Player, which does a great job of playing a lot of video content. Lovely. But if you spend a lot of time doing stuff with video, you’ll know there are times when QuickTime lets you down. There are formats it just won’t play, even if you have Perian installed (which was number 4 in our list of 50 Mac Essentials). When those moments arise, VLC will come to your aid. Some people can write prose with no apparent effort, seamlessly gliding from one paragraph to the next with nary a skip of a beat. For the rest of us, an outliner can be an extremely useful tool for gathering, sorting and refining our thoughts: and OmniOutliner is one of the best outliners you can find. I’ve been using Notational Velocity for years and years, and I can’t imagine using a Mac without it. It’s an extremely simple application, but that’s a large part of its appeal. It stores text notes, and searches through them at blazing speed. 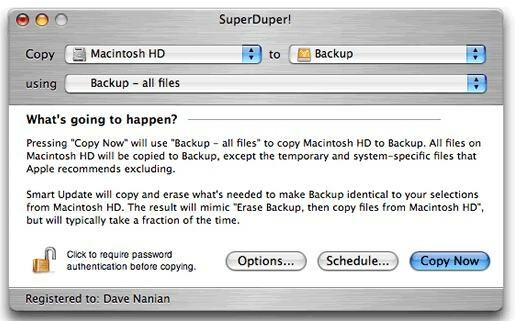 Every Mac sold since the launch of OS X 10.5 (Leopard) has had a copy of Apple’s backup software, Time Machine, included. And thank goodness for that, because backups were the elephant in the computer industry’s room. Everyone knew it was essential to keep backups, and everyone knew that most people just didn’t bother. Self Control is a tiny little app for people who just don’t have any. Self control, that is.